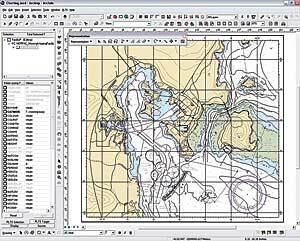 GIS will be used to manage production of nautical charts. Data is obtained from more than 50 entities. Project aims for gains in productivity and flexibility. The NCS II system uses PLTS for ArcGISNautical Solution to create, manage, and publish hydrographic information in paper and ENC formats. The Marine Chart Division (MCD) at the National Oceanic and Atmospheric Administration (NOAA) has embarked on an ambitious new deployment of GIS technology in the management of hydrographic information and the production of digital and hard-copy nautical charts. 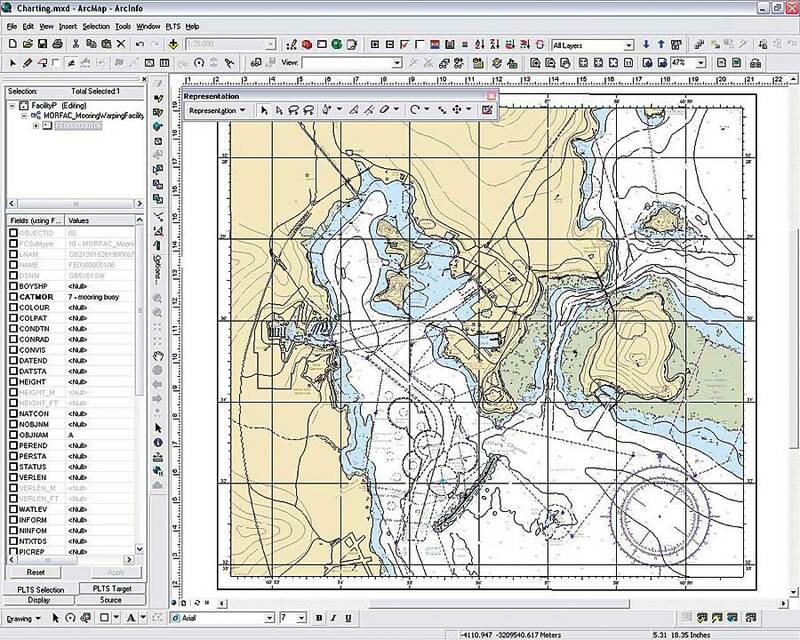 The result will be the next generation of the Nautical Chart System (NCS II). MCD is a division in the Office of Coast Survey (OCS), which is part of the National Ocean Service (NOS), one of five NOAA line offices. NOS works to observe, understand, and manage U.S. coastal and marine resources, including navigation safety. OCS specifically oversees the Marine Transportation System. NCS II will help MCD meet its critical challenge of providing navigation products that cover approximately 11 million square kilometers of coastal waters, including the Great Lakes (areas collectively called the United States Exclusive Economic Zone). Ninety-five percent of U.S. commerce, by weight, travels through these waters alongside 110,000 commercial and recreational fishing vessels. 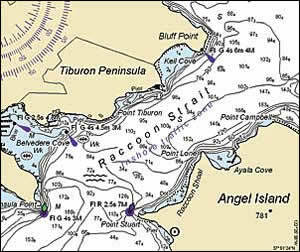 A nautical chart is a graphic portrayal of the hydrographic navigation environment, showing the nature and form of the coast; the general configuration of the sea bottom, including water depths; locations of dangers to navigation; locations and characteristics of man-made aids to navigation; and other features useful to the mariner. In conjunction with supplemental navigational aids, the nautical chart is used by the mariner to lay out courses and navigate ships by the shortest and most economical safe routes. To produce these complex products, MCD uses source data including hydrographic survey data, hazard updates, and navigation aid information. From this data, MCD maintains a suite of more than 1,000 paper nautical charts and is in the process of providing complete coverage in Electronic Navigational Chart (ENC) format based on the International Hydrographic Organization S-57 transfer standard. Data is obtained from more than 50 entities, including the Army Corps of Engineers, NOAA survey ships, and the U.S. Coast Guard. 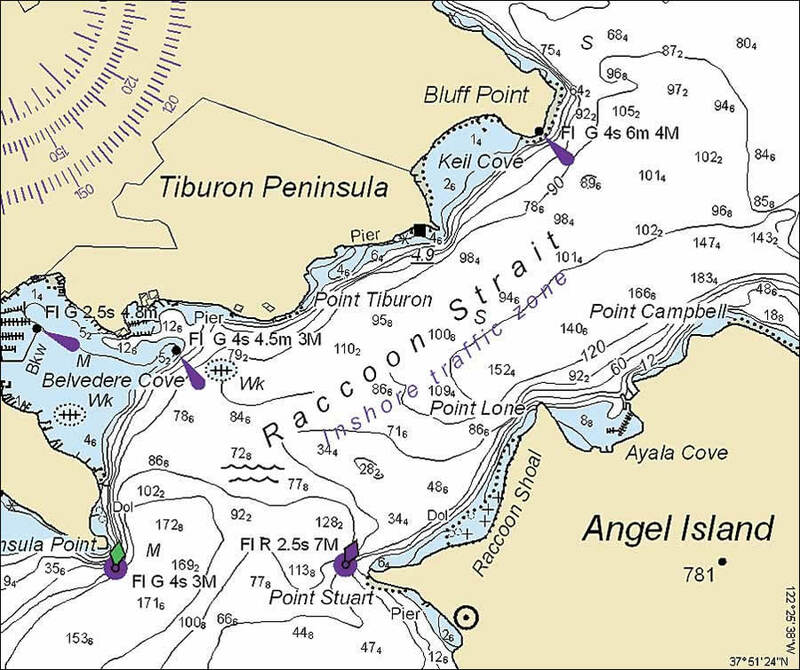 The Nautical Chart System will help the Marine Chart Division meet its critical challenge of providing navigation products that cover approximately 11 million square kilometers of coastal waters. In the current system, critical updates for paper and electronic charts are published weekly. However, the noncritical update cycle for paper charts ranges from every 6 months for areas of high commercial traffic to as infrequently as 12 years for remote areas. The average revision interval per nautical chart is about 2 years. Data must be applied multiple times, stored in multiple applications, and processed through several production lines to either an ENC or a paper chart, which is a major factor in the amount of time, effort, and quality control needed for updates. MCD has used GIS for many years to improve workflows and data management but wanted a COTS-based enterprise-wide system for NCS II to gain efficiencies and streamline data management and product generation. NOAA MCD contracted with McDonald Bradley, Inc., an information technology solutions provider, to integrate, operate, and maintain NCS II. After a rigorous selection process, McDonald Bradley selected Esri as a subcontractor on the project due to Esri's expertise and experience working on GIS projects. In particular, the team wanted to leverage PLTS for ArcGISNautical Solution, which provides production-oriented applications and end-to-end workflows tailored specifically to the needs of hydrographic offices. With the implementation of NCS II, McDonald Bradley is creating a system that compiles source data from the myriad of providers, stores the information in a single database, and is able to extract information to produce various paper and electronic charts. MCD expects NCS II to decrease production time for charts significantly, allowing more frequent updates. The streamlined workflows and improved data management will increase the agency's ability to respond to coast-altering events, as well as improve the accuracy of charts and ensure greater navigational safety and better coastal management. Because MCD will manage data centrally, integration with ancillary legacy systems will be centralized and optimized. Furthermore, MCD will have the capability to offer new products and Web services within NOAA or to end users of the data. The NCS II project is in the integrate and test phase, with initial system capability acceptance planned for mid-2008. Following system acceptance, MCD will conduct an extensive operational test and a multiyear transition plan based on charting priorities. With NCS II, MCD expects to realize significant gains in productivity, data management capability, and flexibility once the transition is complete. With this move to a next-generation GIS-based system, NOAA MCD will continue to be the world leader in hydrographic information management. For more information, contact Julia Powell, Marine Chart Division, NOAA (e-mail: Julia.Powell@noaa.gov, Web: chartmaker.ncd.noaa.gov), or Brian Cross, Esri (e-mail: bcross@esri.com; tel. : 909-793-2853, ext. 1-1158). International copyright, 2007, NOAA, U.S. Government.